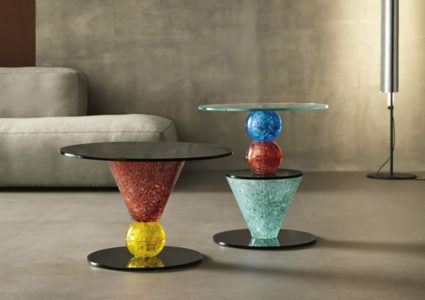 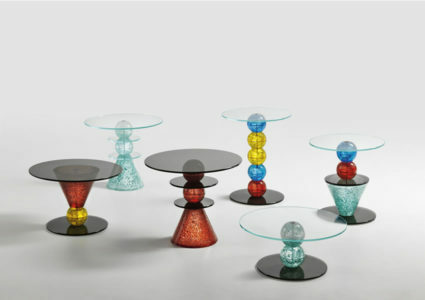 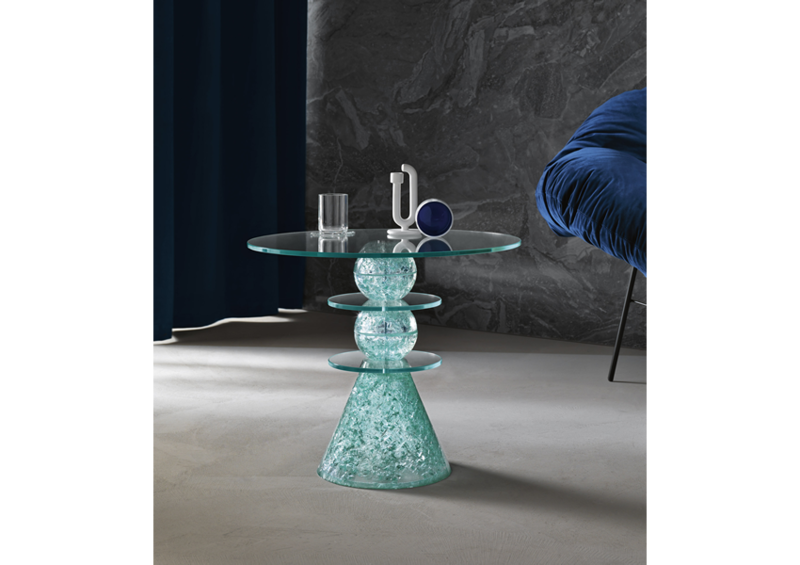 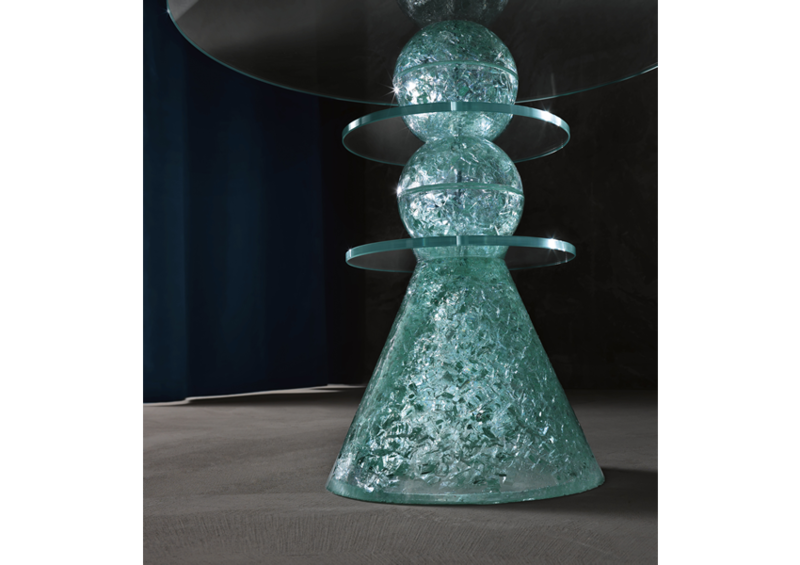 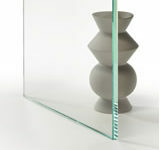 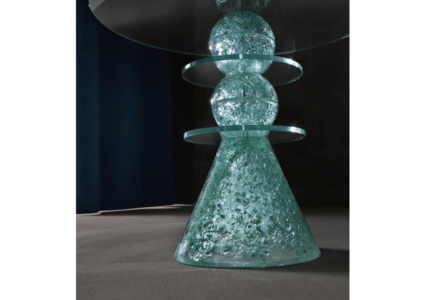 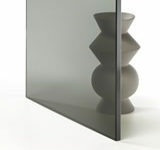 Collection of small tables defined by the new working process and the material used, a mix of glass fragments. 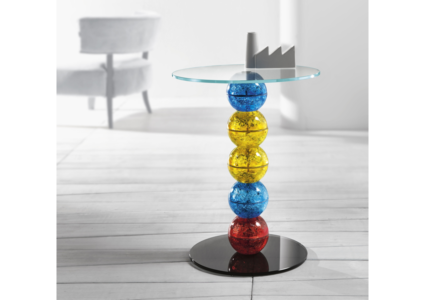 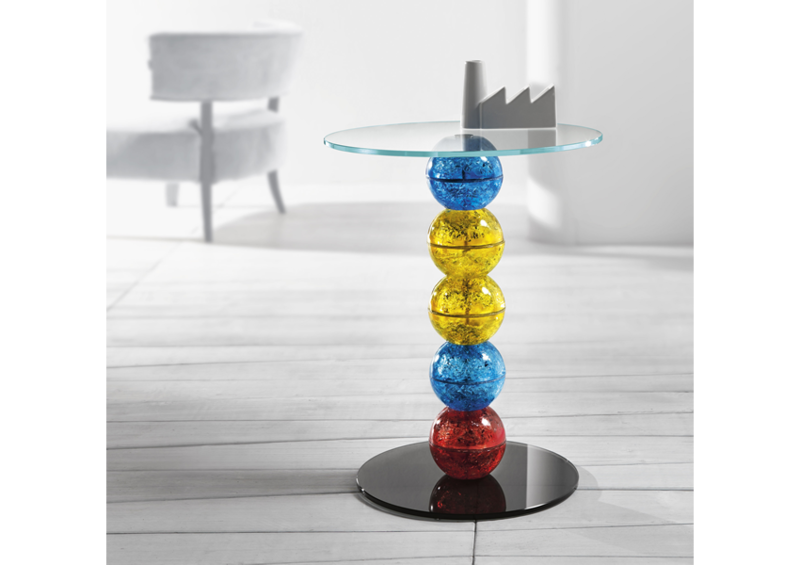 Two elements, a cone and a sphere shaped through moulds and differently juxtaposed to glass discs, give life to 6 different models also distinguished by several colours. 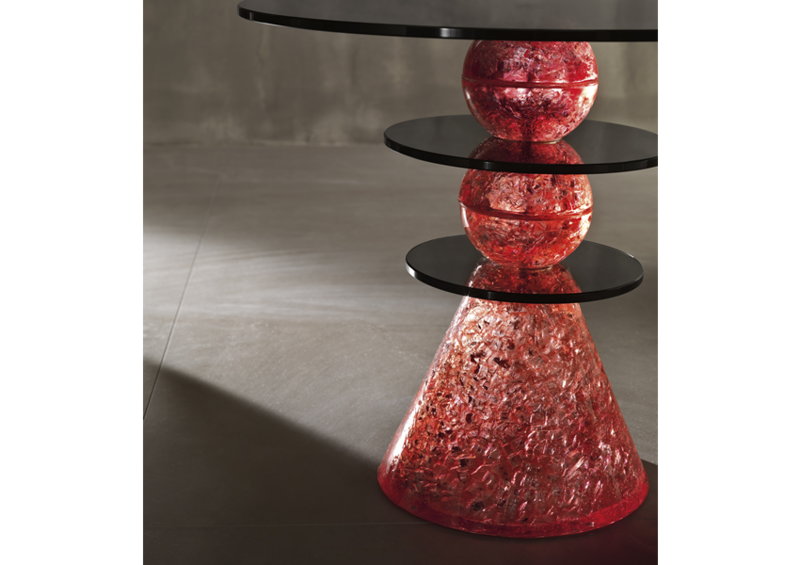 Each piece, poured and finished by hand, creates a unique and exclusive product.